Guardianship proceedings can be expensive and time-consuming. Additionally, the court proceeding and associated documents are all a matter of public record. Many people choose to avoid guardianship in order to save money, spare their heirs a legal hassle, and keep their personal affairs private. Probate Administration is a court process which takes, at minimum, about 6 months to a year, in order to collect the decedent’s assets, pay creditors, and distribute out any remaining assets to the decedent’s heirs. In Florida, there are two types of probate: (1) Summary Administration, and (2) Formal Administration (explained below). The person in charge of probating the decedent’s estate is called the “Personal Representative” who must have attorney representation (the attorney does most of the work). Formal administration is the traditional form of probate in Florida. A Personal Representative (sometimes called an “Executor” in other states) is only appointed in Formal Administration. 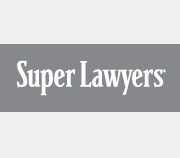 What is Joint Tenancy with Rights of Survivorship (“JTROS”)? This is the most common form of asset ownership between spouses (when property is owned JTROS between spouses, it is called “Tenancy by the Entireties” or “TBE” in Florida). TBE has the advantage of avoiding probate at the death of the first spouse. However, the surviving spouse generally should not add the names of other relatives to their assets. Doing so may subject their assets to loss through the debts, bankruptcies, divorces and/or lawsuits of any additional joint tenants. Joint tenancy planning also may result in unnecessary death taxes on the estate of a married couple. A Will is a document a person signs to provide for the orderly disposition of assets after death. Wills do not avoid probate. Wills have no legal authority until the will-maker dies and the original Will is delivered to the Probate Court. Still, everyone with minor children needs a Will. It is the only way to appoint the new “parent” of an orphaned child. Special testamentary trust provisions in a Will can provide for the management and distribution of assets for your heirs. Additionally, assets can be arranged and coordinated with provisions of the testamentary trusts to avoid death taxes. Sometimes called an Advance Medical Directive, a Living Will allows you to state your wishes regarding what types of medical life support measures you prefer to have, or have withheld/withdrawn under certain conditions, in the event you cannot express your wishes yourself. Oftentimes a Living Will is executed along with a Designation of Health Care Surrogate, which gives someone legal authority to make your health care decisions when you are unable to do so yourself. If you die without even a Will (intestate), the legislature of your state has already determined who will inherit your assets and when they will inherit them. You may avoid probate on the transfer of some assets at your death through the use of beneficiary designations. Laws regarding what assets may be transferred without probate (non-probate transfer laws) vary from state to state. Some common examples include life insurance death benefits and retirement account benefits. These allow you to appoint someone you know and trust to make your personal financial decisions even when you cannot. If you are incapacitated without these legal documents, then you and your family will be involved in a probate proceeding known as a Guardianship. This is the court proceeding where a judge determines who should make these decisions for you under the ongoing supervision of the court. The laws governing Durable Powers of Attorney in Florida changed dramatically in 2011. 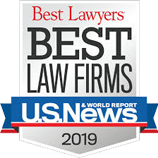 If you have a pre-2011 Durable Power of Attorney, we strongly recommend that you consult with an experienced Estate Planning Attorney as you may require an updated Power of Attorney to ensure that your wishes are carried out by your nominated agent. About the Author: Rachel Drude-Tomori, Esq., LL.M. is the lead Partner in charge of the Estate Planning & Probate Department at Battaglia, Ross, Dicus & McQuaid, P.A. 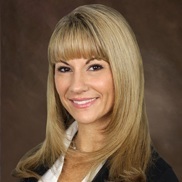 Rachel currently serves as Chair of the Probate Section of the St. Petersburg Bar Association and Administrator of the Thomas E. Penick, Jr. Elder Law Inn of Court. 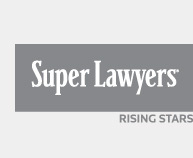 Named a Super Lawyers Rising Star in Estate Planning for 2017 and 2018, Rachel assists business owners, corporate executives, and high net worth individuals and their families to protect their legacies from government and creditor interference through estate planning and wealth transfer techniques.